Vrindavan is the town in the Mathura district of Uttar Pradesh. According to Hinduism, Vrindavan is the place where Lord Krishan spent his childhood days. the town is 11 km from Mathura, the birth place of Lord Krishna. The town hosts many temples dedicated to the worship of Radha and Krishna and is considered sacred by Vaishnavism. Vrindavan is the ancient Sanskrit name, that comes from its groves of vrndaTulasi (tulsi, Holy Basil) Ocimum Tenuifloram with vana meaning a grove or a forest. Two small groves still exist at Nidhivan and Seva Kunj. Chitrakoot is a small town which is located in the state of Uttar Pradesh, India in the district of Satna. Hindi language is used in this place. Chitrakoot is famous for Pilgrim. Chitakoot is one of the most important teerth place. There are many places to visit in this place. It is one of the oldest pilgrimage. There are many festivals celebrated in the town like Shrawan Jhoola Mela, Amavasya Fair, Ramnavami, Diwali, Vijaydashami and Navratri. According to Hindu mythology and the Ramayana Chitrakoot holds great importance. According to Ramayana, In this place Bharata came to visit Ram and ask him to come back to Ayodhya and rule the kingdom. There are many temples in this place. The ideal duration of this place is 1 day. Chitrakoot is very popular destination. It is known for its natural beauty. In the state of Uttar-Pradesh, India there is national park for visit known as Dudhwa National Park. It was located in the district of Lakhim Pur Khiri. 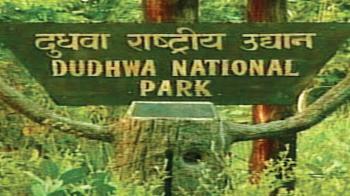 Dudhwa National Park lies on the edge of the Indo-Nepal border in Uttar Pradesh. This park is the first national park of Uttar Pradesh. The spread an area of 490.3 square km. The ideal duration of this park is 1 day. This park is tag by Wildlife Offbeat. The altitude of this place is 147 meters. There are many types of Flora and Fauna in this park. The major attraction of this park is Tigers and Swamp Deer. 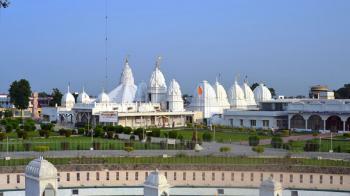 In the state of Uttar Pradesh, India there is religious place for visit known as Ayodhya. Ayodhya is located in the district of Faizabad. Ayodhya is also known as Saket. It is also birthplace of Lord Rama. Ayodhya used to be the capital of the ancient Kosala Kingdom. The altitude of this place is 93 mt. from the sea level. Hindi, English and Urdu languages are used in this place. This place is famous for Pilgrimage. There are many places for visit in Ayodhya but the most famous place is Ram Janmabhoomi Temple. This city has a history which is celebrated by the Hindu religion as Diwali or Deepawali. Ayodhya has been regarded the seventh important pilgrimage site. 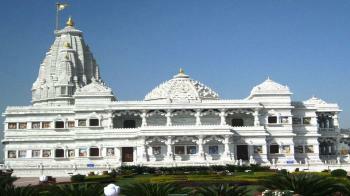 Ayodhya is also the birthplace of five Jain Tirthankars including Adinath. Ayodhya as a city is described by the Atharva Veda. There are many festivals celebrates in this place. The most famous festivals are Ram Navami, Diwali and Ram Lila. Many number of devotees come in this place. There is heavy rush in the festival of Diwali. Diwali is dedicated to the memories of Lord Rama who come after 14 year exile in this place. In the state of Uttar-Pradesh, India there is a sports city to visit known as Meerut. It is an important tourist place to visit. The altitude of this place is 219 mt. above the sea level. Hindi and Urdu languages are used in this place. The city is also an important industrial town and is the largest manufacturer of musical instruments and sporting goods etc. Meerut is also known as "Sports City of India". 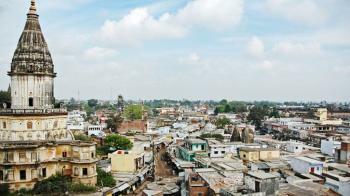 Meerut is famous for Sister city. There are many tourist place to visit in Meerut. The ideal duration of this place is 2 to 3 days to visit all the things in Meerut. It is considered as the second fastest growing city. Meerut is also an education hub. There are many temples in Meerut. Different types of festivals are celebrate in this places. Festivals are Diwali, Dusshera and Holi etc. are celebrate in this place. Tourists come to this place to take part in the festival celebrations. The name derived from the Mayarashtra which is the capital of Mayasura who was Mandodari's father and Ravana's father-in-law. This name have changed to Mairashtra, Mai-dant-ka-khera, Mairaath and now Meerut. In the state of Uttar Pradesh, India there is religious city to visit known as Mathura. 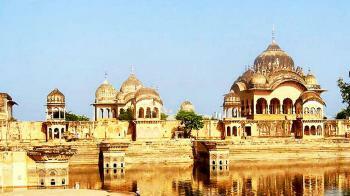 Mathura is birth place of Shri Krishna. This place is known for its rich culture and Heritage. 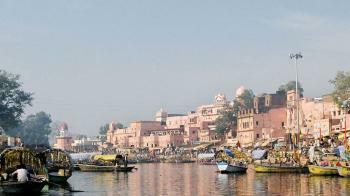 This city is located at the bank of river Yamuna. The altitude of this place is 169 mt above the sea level. There are many temples in this place but the most famous temple is Krishna Janambhoomi temple. This city is holy place for Hindus. Mathura is famous for its Pilgrim. Hindi, Braj languages are used in this place. There are number of Devotees come in this city every year. The temple sees over a lakh devotees visit every year on Janmashtami. There are many festivals celebrates in this place. The most famous festival is Krishna Janamashtmi. Mathura was the capital of the Surasena Kingdom ruled by Kansa. There are many tourist attractions in this place but the most famous tourist attraction is Vishram Ghat. Mathura has been chosen as one of the heritage city. The total area is spread by Mathura is 3709 square km. Khusro Bagh is one of the popular tourist destinations in Allahabad, India. It is located close to Allahabad railway station. The park holds a huge historical significance as it houses the tomb of Prince Khusro. Prince Khusro was one of the sons of Emperor Jahangir. 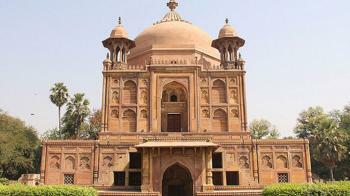 This place is a must visit for history buffs and people who like to visit tombs and mausoleums. This place is a beautiful park area and is one of the places in Allahabad where you can find complete mental peace in the lap of nature. You will find many families coming here for picnic, couples and people going for morning and evening walk. The garden itself is famous for mango and guava trees. 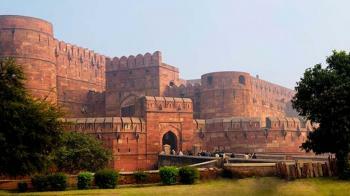 Agra fort is the most important fort of India. 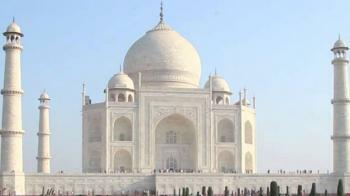 It is located in Agra, Uttar Pradesh, India just opposite the Taj Mahal on the banks of the Yamuna. Built in the sixteenth century during the Mughal occupation of India, the site is UNESCO World Heritage status. Over 94 acres of land used to build this fort. Built with red sandstone, the Agra Fort is also known as Red Fort where the great mughals: Babur, Humayun, Jahangir, Akbar, Shah Jahan and Aurangzeb lived. This fort is very well maintained and one of the must visit places if you are in Agra. After the Taj Mahal, this has to be a key stop on anyone’s itinerary of Agra.